In the following case study, we feature one of our long-term, loyal clients ‘Jay’. O’Shea Plumbing has an extended history of a successful completion of work for Jay, including replacing taps/toilets, fixing pressure control and solving water leaks in his house in Mt Waverley VIC. 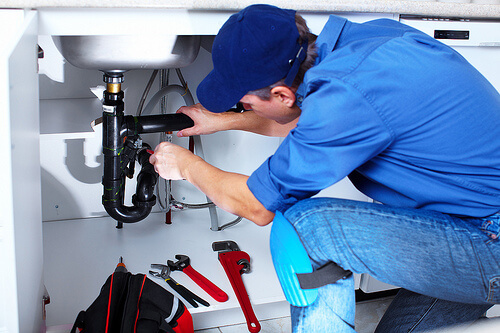 Jay called our office recently for some more assistance from the team he turns to for all his plumbing needs. This story has a bit of a backstory: Jay had recently taken the leap into purchasing a property in Ferntree Gully VIC. Unfortunately, after he had already ‘signed on the dotted line’, it was revealed that his new acquisition was equipped with poor water pressure, rusty-colored water coming out of the taps and also a large amount of groundwater running under the house (as confirmed by a building inspector). ‘Jarett’ our Service Manager here at O’Shea Plumbing made the visit out to Ferntree Gully the very next day. After meeting with Jay, it was discovered that the house was fitted with old galvanised iron water pipes that needed replacing. Also, the agricultural drain (AG pipe) at the front of the house had been installed improperly and was allowing water to flow under the house. Jarett provided quotes to replace old galvanised iron water pipes with copper alternatives, alongside a proposal to install a new AG drain. Jay happily accepted the quotes, and Jarett facilitated a meeting with our plumber ‘Richard’ on site in order to get ‘works underway’. Heavy duty copper pipes and fittings were installed, and backed by a 25-year warranty. Pressure control testing was undertaken to provide ultimate peace-of-mind on the replacement of the water pipes.